Check out these sturdy children's activity tables for your preschool or daycare classroom. Choose from all wood tables sized just right for smaller children or opt for the traditional steel leg tables with laminate table tops. Most kids activity tables have adjustable height legs to get down to the appropriate height for your students. 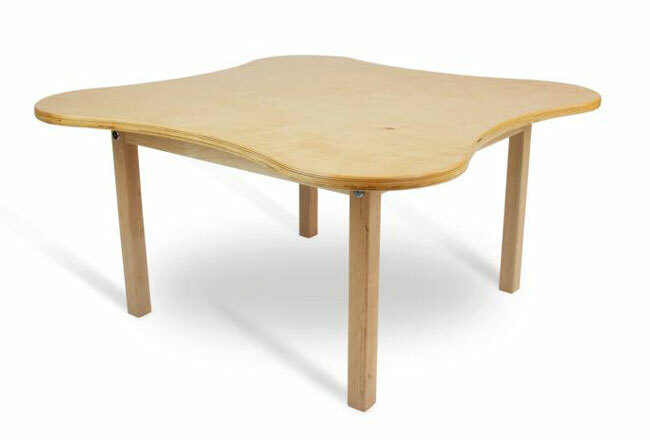 We carry all shapes and sizes as well as multiple colors of preschool tables to match any preschool classroom. Kids activity tables are ideal for group work, art projects, and other children's school lessons. Find out more about these early childhood kids activity tables and view our table seating capacity chart by visiting the Table Buyer's Guide.